Companion Air flies the Pilatus PC-12 new generation Turbo-Prop from Switzerland. This remarkable aircraft offers a level of quiet comfort, safety, and performance unsurpassed in it’s class. The PC-12 employs the latest engine and aerodynamic advances resulting in an aircraft that is a perfect fit for the world’s first Pet Friendly Airline. The luxury of the Pilatus PC-12 is described throughout our site, but behind the scenes is a technological wonder. The PC-12 can cruise above the weather at up to 30,000 feet and at speeds in excess of 300 miles per hour. It can fly non-stop over 2000 miles and can carry almost anything that can be loaded through it’s 53 inch rear door. For Companion Air, the PC-12 is configured with up to 6 people seats and a pet travel area in the rear of the aircraft. While many large commercial aircraft cannot accommodate large pet kennels, Companion Air can load even the #700 series through it’s massive door. The PC-12 has redundancy throughout all of its critical systems, employs the latest electronics on its flight deck and can take off and land at very safe, slower airspeeds. The Pilatus PC-12 is so rugged that it is used routinely by the Canadian Mounties and at unimproved airfields throughout the western US in Air Ambulance missions. A Pratt & Whitney engine that is one of the most reliable in its class powers the PC-12. Variations of this engine have been used on over 10,000 aircraft throughout the world. The pressurized cabin and “quiet” design result in an unparalleled level of comfort. On board entertainment systems complete the experience that is like no other. Pilatus Aircraft was founded in 1939 to provide training aircraft to the Swiss military. They have produced more single turbo-prop aircraft than anyone in the world. Pilatus aircraft are known for their innovative designs, remarkable engineering and quality construction. The PC-12 is the latest to continue the Pilatus heritage. 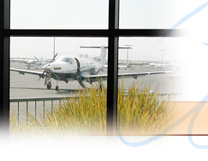 Learn more about Pilatus and their remarkable PC-12 at www.pilatus-aircraft.com.